For eye protection during cutting and brazing welding tasks, the Jackson Safety V100 WR Series Cutting Safety Goggles are a smart choice. A heat-resistant nylon retainer holds a 2” x 4.25” IRUV Shade 5 filter plate, so you can see what you’re welding. The rigid frame features an adjustable elastic strap for a snug fit. 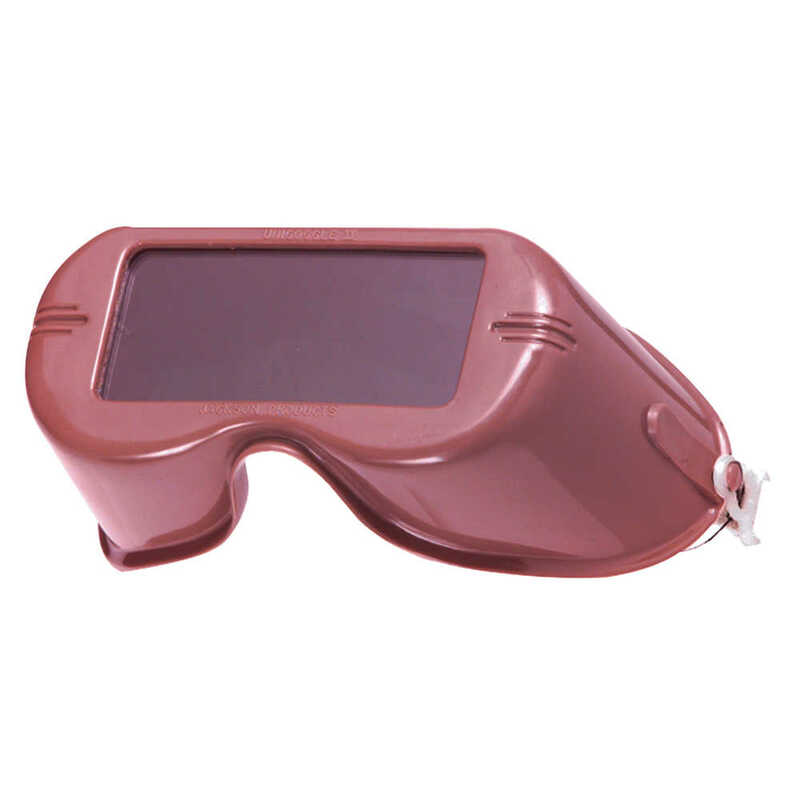 The IRUV Shade 5 lens helps protect against infrared (IR) and ultraviolet radiation (UVA / UVB). The deeper frame fits over most perscription glasses. The lenses are made of polycarbonate, which provides 99.9% UVA/UVB/UVC protection. The safety goggles meet the ANSI Z87.1+ standards for impact. Note: Goggles much be fitted with all required lenses and gaskets in the correct order to maintain Z87.1+. For a more shallow frame, select SKU 15986.